Leilani is a Senior Philanthropic Advisor for the Marin Community Foundation. Leilani was formerly the Senior Program Officer with the San Francisco-based Goldman Environmental Prize, the world’s largest prize program for grassroots environmental leaders. She also previously worked at the San Francisco Foundation where she was fellow in the foundation’s Multicultural Fellowship Program. At the foundation Lani focused on grant making in support of Bay Area youth, and environmental education and justice programs. She studied international relations in graduate school. Lani has served on the Advisory Board of KIDS for the BAY for 10 years and is currently the President of the Board. Kimberly Aguilar is a second grade Spanish bilingual teacher at New Highland Academy in East Oakland. Kimberly previously worked at KIDS for the BAY as a Program Coordinator and Program Manager for three years. She graduated from University of California at Santa Cruz with a Bachelor’s of Science Degree in Biology and was excited to join KIDS for the BAY soon after. Kimberly fell in love with teaching at KIDS for the BAY, which is why she pursued a teaching credential. She is now happy to be a part of the KIDS for the BAY team again as an Advisory Board Member. Tiffany Grandstaff is the Director of Communications for the UC Berkeley Library. She leads a team of designers, writers and editors who unearth interesting and untold stories and dream up fun and creative ways to share the Library’s mission with the world. Prior to coming to Berkeley, Tiffany was the managing editor for presentation at The (San Jose) Mercury News, where she worked in a variety of roles for a decade. Tiffany holds a Bachelor’s Degree in Journalism and Mass Communication from the University of North Carolina, Chapel Hill. Elaine Miyamori is a Human Resources Consultant with AAA Northern California, Nevada, and Utah where she provides consultation and support on HR business strategy and change management, HR analytics and solutions implementation, HR business project execution and management, and performance management. Elaine has held national and regional human resources manager positions in the financial services industry. She served on the advisory board for the Contra Costa County Private Industry Council and chaired the Finance Committee during her second term. She was a contributor in developing the first financial services “school to work program” in Sacramento through Linking Education and Economic Development (LEED); a collaborative effort with business, education and economic development focused on aligning educational resources with regional workforce needs. Elaine was past president of the Asian Pacific Personnel Association and Vice President of the Tri-Valley Human Resources Association. Elaine has a degree in Social Welfare from UC, Berkeley. Shefali Shah is an educator of multicultural and environmental justice education with over 12 years experience. Shefali holds a Spanish Bilingual Teaching Credential and a Masters Degree in Education with a focus on Critical Environmental and Global Literacy. 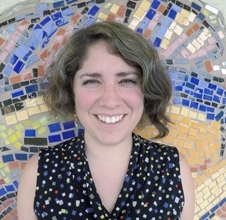 Her research, practice, educational curriculum and teacher training focus on environmental justice and best practices for equitable educational opportunities for multicultural youth. For five years, Shefali worked as an Instructor in the Teacher Credential and Masters Degree Programs at New College of California and for nine years she served as Program Director and later Education Director for KIDS for the BAY. Shefali’s work promotes environmental justice through action and cultural awareness and connections through musical and dance traditions. 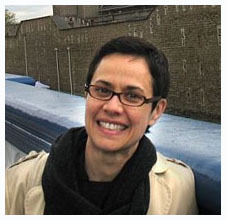 Her consulting work includes curriculum support and environmental justice education trainings. Sheela Shankar is the Development Manager for the Rose Foundation for Environmental Values. She is also a non-profit fundraising and events consultant in the San Francisco Bay Area. Sheela was a staff member at KIDS for the BAY for fourteen years, including working closely with Executive Director Mandi Billinge as Associate Director for seven years. 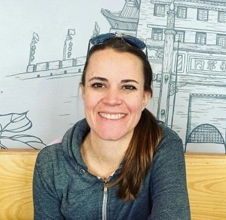 She has a Master’s Degree in Education with a focus on Environmental Education and Curriculum Development, and a Bachelor’s Degree in Environmental Studies. 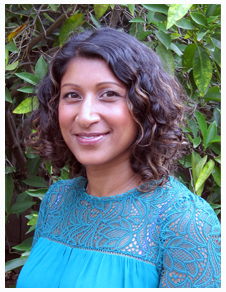 Sheela has twenty years of experience in the environmental education field within the San Francisco Bay Area. She also brings expertise and experience in non-profit management, fundraising, event planning, and communications. Sheela is grateful to continue contributing to KIDS for the BAY as an Advisory Board Member. Jonathan Sorof is a physician and the Senior Vice President of Global Blood Therapeutics. He was previously a pediatrician who spent 10 years on the faculty of a medical school and the hospital staff taking care of children with kidney disease. During this time, he also focused on educating medical students and medical trainees, and on conducting research on heart health and obesity in children. After moving back to the Bay Area in 2009 to join Genentech, he worked for several years on developing new medicines to treat a variety of diseases that affect people of all ages, with an emphasis on children. Jonathan’s career journey has allowed him to live in many places in the United States, including the Northeast, New England, Washington DC, Texas, and Northern California. 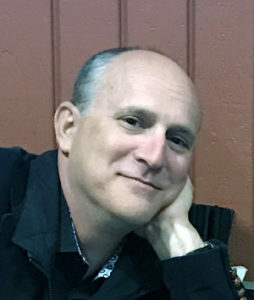 He has most recently returned to Burlingame after living for two years in Switzerland with his family, which includes his wife of 17 years who is also working in healthcare, his two children aged 15 and 12 years, and his favorite hiking companion, his 10 year old goldendoodle.